I have a new kit in the works called "So Sweet". It was inspired by a dear friend of mine who is expecting her first baby, and it will be a girl! Here is a preview of the papers. 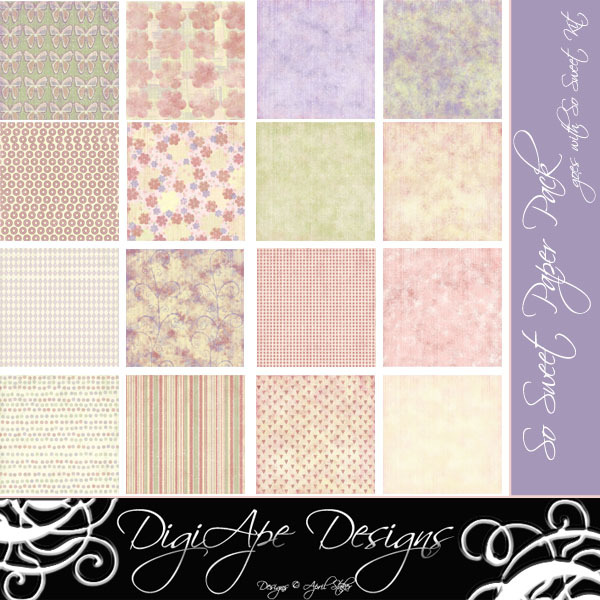 I will have a few freebie papers that go with the kit coming to you in the upcoming days! As always, let me know what you think! I am still working on the embellishments for the kit. To purchase the full So Sweet Paper Line Email Me! Subscribe to my blog and get the freebies as soon as they are released! New Freebie from So Sweet! Welcome to my new Digital Designs Site!